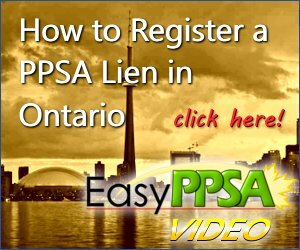 EasyPPSA allows you to search for and register liens quickly and easily in any province in Canada. We also offer searches on Canadian corporations and land title searches through Canada. PPSA is the Canadian equivalent to a UCC in the United States. Designed for your smartphone and tablet! 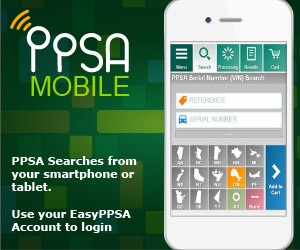 Use it to request & view PPSA Searches. It works with your EasyPPSA account too. Use your EasyPPSA login to access! Do you owe creditors? Find all liens against you or anyone else. Are you buying or leasing a vehicle? Check for liens on the vehicle. Click here to request a lien search in any province in Canada. Register a lien against someone who owes you money. Click here to register a lien in any province in Canada. Search a corporation for information about it's status, the current directors, amalgamations or cancellations. Did the company miss it's annual return? Does the company still exist? This search will tell you. Click here to perform a corporate search in Canada. Check for Bankruptcy filings, liens, and Corporate Profile information. Know who you're dealing with before you even make a phone call. You can even perform a Pre-Search to determine if a name has been taken. Click here to perform a bankruptcy search. Find information on land titles, mortgages, title deeds, and more. Click here to perform a land title search. If you have any questions, check out frequently asked questions (FAQ). If you don't find the answer there, contact support here.